At any time, you may adjust your browser settings to delete existing cookies (and the data that web beacons add to the cookie), or refuse new cookies, according to the method permitted by your browser. If you choose to delete cookies, you will need to log in again on your next visit to the Services and re-enter any preferences you have set. If you choose to disable cookies, you may not be able to access or use some portions and features of the Services and may not get the best experience possible. Your browser may offer you a “Do Not Track” option, which allows you to signal to operators of websites and other properties that you do not wish such operators to track certain online activities. Our Services do not support Do Not Track requests at this time. Log Usage Data. Our servers automatically record usage log data created when you use the Services. Usage log data may include information such as your IP address, browser type, operating system, referring web page, referring email, referring application, visited web pages, location, mobile carrier, computer or mobile device type, search terms, content viewed, content created, and cookie information. Location Data. If you provide location information during the account registration process or at any other time via your account settings, or if location information is included as part of the information we collect (for example, your IP address may provide an approximate geo-location), we may store that information in connection with your account. If you are using mobile Services, we may collect location data directly from your mobile device if your device allows us to do so. Your mobile device manufacturer or mobile service provider may provide you with choices about how and whether location data is shared with us. Email and Mobile Content Programs. You can choose to receive promotional emails from us. Like most e-commerce sites, we include software code in our emails to monitor whether and when you opened the email, whether you have clicked on the images and/or links in the email, and whether your computer or mobile device is capable of receiving HTML-based email. You may also choose to access our content through a mobile application and to receive text messages on your mobile device. • To perform other functions described at the time the information is collected. We may share your information when you consent or direct Likewise to do so. The method of consent will be appropriate for the type of personal information involved and the purposes for which it is collected, used or disclosed. Depending on the circumstances, consent may be express (i.e., you specifically agree either verbally, in writing or electronically) or implied. We may publicly disclose the name, city and state of winners. We may share aggregated, non-personal data with service providers, advertisers or existing or potential business partners. Opting Out; Editing Your Personal Information. We provide choices about the collection, use and sharing of your data, from deleting or correcting data you include in your profile and controlling the visibility of your posts to advertising opt-outs and communication controls. You may unsubscribe at any time from our email programs by clicking on the unsubscribe link included at the bottom of every email message or by sending a request to legal@likewise.com. We reserve the right to send you service announcements (such as notifications about site outages) or administrative messages, without offering you the opportunity to opt out of receiving them. You may opt out of a specific mobile messaging campaign by texting ”stop”. Text “stop all” to opt out of all mobile messaging. Section 1798.83 of the California Civil Code permits California residents to request from a business, with whom the California resident has an established business relationship, certain information about our disclosure of personal information during the prior calendar year to third parties for their direct marketing purposes.  You may make one request each year by emailing us at legal@likewise.com or writing us at 10400 NE 4th Street, Suite 500, Bellevue WA 98005. The security of your personal information is important to us. We maintain industry-standard physical, electronic, and procedural safeguards, such as firewalls and encryption technology, to protect against the loss, misuse, and alteration of the information under our control. However, no method of transmitting information over the Internet or storing information is completely secure. Accordingly, we cannot guarantee the protection of any information shared with us. If you create an account, you may be asked to choose a password to protect your account and account information. We recommend that you do not disclose your password to any other person. You are responsible for maintaining the confidentiality of your password and account, and are fully responsible for all activities that occur under your password or account. The Services are not directed to children under 13, and we do not knowingly collect or store any personally identifiable information about persons under the age of 13. If we learn that we have collected personally identifiable information of a child under 13, we will make commercially reasonable efforts to delete such information from our files. If you are under the age of 13, please do not submit any personal information through the Properties.